Potter presses have reciprocating beds and stationary carriages. 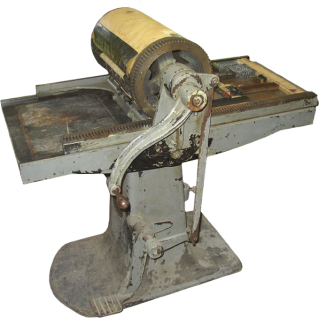 Some later models have paper grippers and ink rollers. Manufactured by A.F. Wanner until 1914 when the company was renamed the Horace Hacker Co. In 1931 Challenge Machinery acquired the Poco and Potter brands. The 1935 ATF Machinery Catalog shows “Challenge-Potter” presses. The Potter census lists 22 presses. There may be a few more in North America.